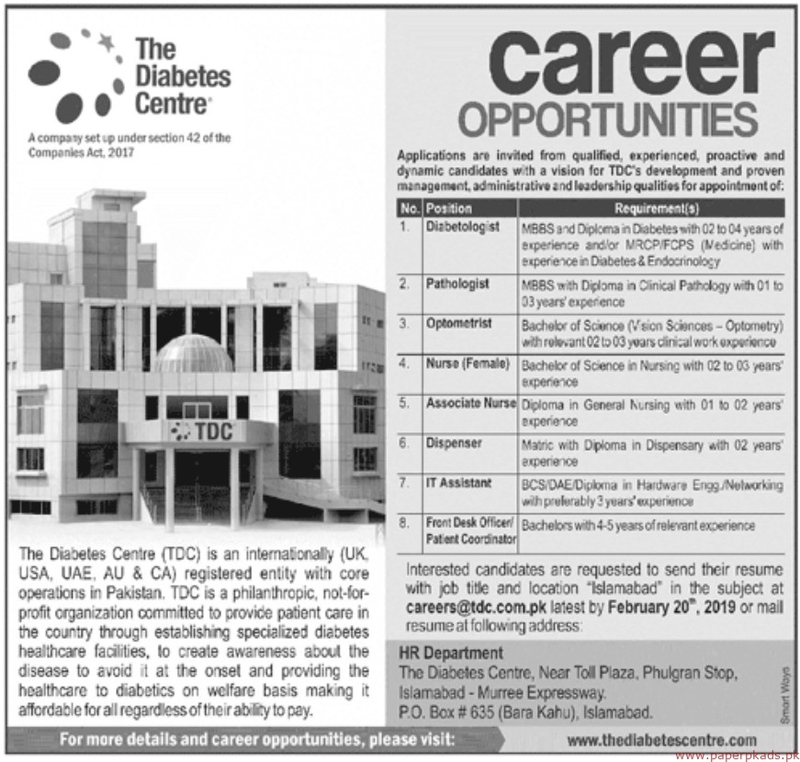 The Diabetes Centre Jobs 209 Latest Offers Vacancies for the Positions of Diabetologist, Pathologist, Optometrist, Nurse, Associate Nurse, Dispenser, IT Assistant, Front Desk Officer, Patient Coordinator. These posts are to be based PUNJAB Islamabad. The aforesaid Jobs are published in Jang Newspaper. Last Date to Apply is February 20, 2019. More Details About Diabetologist, Pathologist, Optometrist, Nurse, Associate Nurse, Dispenser, IT Assistant, Front Desk Officer, Patient Coordinator See job notification for relevant experience, qualification and age limit information.